This isn’t a board game – it’s a puzzle. You lay out the cars on the grid according to a card and try to slide the cars around in such a way that you can get the special car (the red truck on this version’s box art) through the exit. It’s a very simple concept, but the cars can only move forward or reverse because of how the grid is designed. You have to figure out the right sequence and amount to move pieces to get the special car through the exit and the goal is to do it as efficiently as possible. There’s nothing really telling you to count the number of moves it takes you, but that’s the easiest way to figure out if you’ve got a more direct solution or not. Overall the game is going to be worth it for folks who like puzzles. It’s single player and the version I have came with something like 30 puzzles of increasing difficulty and I bought a tiny little expansion that had one vehicle and another ~30 puzzle layouts on those cards. I like puzzles, which is why I bought it, but it’s completely understandable if some folks just aren’t interested. The rules for this game can be found in numerous places online and in other reviews. What I’ll be focusing on is the components and the feel of the game. Heroscape is, as many have said, a giant box of toys with a great set of rules. The maps that armies fight on are made from tiles that connect together in a highly modular way that makes building your battlefield like playing with Legos. There’s tons of different tile types, many with special rules, that mean you can build almost anything you can imagine from lofty castles on mountain tops, to alien swamps with giant creatures bubbling up through the surface, jungle on all sides. Lava can flow over city streets and snow and ice can find their way into subterranean caverns of deepest shadow. The armies themselves are made up from everything you can think of. Fantasy creatures like elves, werewolves, dwarves, and dragons. Futuristic beings like killer robots, space aliens, and marines from some future corporation. Modern factions that resemble Charlie’s Angels, the Men in Black, and covert operatives. And historical groups like ninjas, samurais, and WWII soldiers. There’s even orcs riding dinosaurs. Wonderfully, all these minis came pre-painted, packaged so that you knew exactly what you were getting with every purchase. For someone untalented in the painting arena, like me, who hates blind purchase, like I do, these were paradise. Not all of the sculpts are great, and not all of the paint jobs are stellar, but they’re fun and get the point across and made the game a visual treat for even the latest to the party. And there’s so much variety! 13 waves that averaged 20 sculpts each, 4 master sets, 5 terrain packs, 3 large figure sets with 5 figures a piece, 5 flag bearers, and even a number of promo figures released at GenCon each year. There are literally hundreds of official units to pick from. Even without all these lovely toys to play with, the rules for this game are dang solid. Armies are kept even through a point system so that it didn’t matter if you had 20 knights trying to take on the Hulk. And the special abilities meant that each unit, no matter how similar to any other, still had their own unique feel. Movement makes perfect sense, and attack is done in the most straight forward way possible. The rules take all of the best ideas from tabletop minis gaming and ditch everything that’s slow, cumbersome, or just not fun (like the dreaded tape measure). And even though the game is no longer being produced, it’s still possible to get it through resellers with the occasional item being up for purchase (like the Marvel set). It is much more difficult than it was even a year or two ago, but at least it’s still possible without the kind of monetary investment something like Space Hulk has become. Ultimately, this is, and will long remain, one of my favorite games of all time. It’s the one that really got me into hobby gaming and even though it was my gateway, I find it just as fun and impressive now as I did back then before I knew about the wider world of wonderful game available. It’s a truly great game. Dominion is one of those games that comes out and completely wows people by doing something in a completely new way. In Dominion’s case, this would be the competitive card game with the customized deck. Magic: the Gathering is where most of the world looks to see where this game type started, but MtG does one of the things that I hate with a fiery, red-hot passion: blind purchase. You just never knew what you were going to get and had to spend a bunch of money if you liked to get complete sets (like I used to) or if you wanted to build a very specific deck. This is the classic definition of a money sink. You pour money in and the hole never seems to fill. Dominion did away with that in a great way by giving you a bunch of each card, some great rules to govern game play, and you knew exactly what you were getting when you bought the game. It was wonderful! You get that MtG style competitive play without having to forget that your wallet is for holding money and not just a scrap of leather you like to keep in your pocket. And the game was made so well! You had a tray inside that box that holds everything perfectly organized and the cards are great quality. There’s just nothing really lacking with this game. Well, each game you’re putting 10 cards out there that you and your fellow players will be able to acquire over the course of the game to build your deck. There’s the always available victory point cards and money cards too, but the 10 kingdom cards are largely what you’ll use to win the game. They let you pull off neat combos and screw over your friends and all sorts of fun stuff that help you out. You win by having the most victory points at the end of the game, but the kingdom cards provide all your special options. But that’s where things start going a bit off. 10 cards per game means you could see every card that comes with the set within three games (there’s 25 kingdom cards in a set). Eventually you’ll want a few more options just to keep things fresh and to keep things from being solvable (i.e. having only one course to victory with the winner being the first one to take that course of action). So you buy the next release, and it’s awesome too! In fact, from what I’ve read only one Dominion expansion has been received with anything less than enthusiasm from the fans of this game. And really, it just sounds like it’s an expansion that doesn’t get mixed in with everything else as easily is all. Not really a big deal for me. What is a big deal is that although Dominion is an absolutely great game, it’s near impossible to be perfectly happy playing just the base set. It gets repetetive after some time and so new cards are needed to keep things engaging. And that’s where the game starts to lose me. I really enjoy the game, and haven’t had a bad game yet, but the idea of NEEDING to expand a game to keep it worthwhile has always turned me off. I like games where being played out just means I’ve been playing too much of it lately – that I just need to take a break from it and when the break is over, the game is back to being fun again. That’s just not the case with Dominion, which means it’s a money sink just like Magic: the Gathering is, just at a much slower sink. If you’re alright with that, BUY THIS GAME IMMEDIATELY. Seriously. It’s a great game, and if you’re not like me, it’s going to cost you about $30 every three to five months. If you are like me and you want expansions to be additional options, not required to keep the game good, stay away. Play your buddy’s copy every now and again, but find a game that’s got better longevity with a single purchase. Space Hulk is beautiful. There’s no way anyone can talk about this game without talking about just how beautiful it is. It’s like, every Hollywood starlet who rose to fame because of her looks before she starts using plastic surgery to prevent aging beautiful. Your first crush beautiful. Let’s break this down even farther. The board is that beautiful (there’s that word again, I might be repeating myself) body. Not only is the art extremely well done and highly evocative of the derelict space ship it represents, and not only is it designed to be highly modular so that you can design your own board setups after you’ve gone through the bunch of stuff that comes with the game, and not only is it on the thickest card board I’ve ever seen in gaming meaning it’s highly durable, but it’s freaking embossed. They took this absolutely gorgeous board and went above and beyond by giving it the textured feel that makes it that one step beyond just great looking. Nobody even asked for anything like that, but everyone who bought the game that I’ve talked to is in awe of it. If the board is that great body, the minis for this game are the million dollar face. Like any true beauty, she likes to wear some make up even though she doesn’t need it, so the minis have some assembly required and aren’t painted. Don’t let that fool you in the slightest. These are the most highly detailed, well done minis I’ve ever seen in board games. I don’t know if I’ve ever seen minis in minis’ games this well done and I’ve seen a lot of those. There’s little wisps of ribbon on some of these figures and they have writing on them. That’s intense with how small we’re talking that a small feature on the small mini has tiny writing – just unbelievable. After all this wonderful talk over just how amazingly beautiful (yep, definitely using it too much) this game looks we’ve got to talk about the rules. There’s nothing wrong with the rules, they look beautiful too, it’s just that they’re the feet in this analogy and nobody really likes the feet unless you’re one of those weirdos who gets off on that. More power to ya, I say, but the rules didn’t feel as polished and honed as the visuals did for this game. The game plays well, but it felt like it could have been that little bit tighter to make this a game worth playing even if it didn’t have all this awesome eye-candy. As it is, the game is mostly made by the quality of the components and the rules make for a good game that’d be worth buying with components not as good, but I wouldn’t have bought it (my gaming budget is tight, so I have to be picky). It’d still be a game I wouldn’t ever mind playing, I just wouldn’t have bought it. Now we do have to talk about the one problem I have with this game. This is the wart that keeps drawing your attention to her left hand instead of her face. It’s small, and she’s done some things to make it smaller, but it’s still there. For me, it’s the size of the minis versus the size of the spaces on the board. They just don’t work well together. The aliens are all the same kind of alien, but there are a bunch of different sculpts that are amazing and that don’t fit on a single space on the board, so when you’ve got a bunch of aliens coming at the space marines and they already know how many are out there, you’ve got this awesome lineup of marines in big battle armor with all these cool weapons looking down these claustrophobic corridors at all these aliens…who aren’t facing the right way. Since they don’t fit you’re putting them sideways and not really on their space and you keep using the sculpt that has one bursting out of the floor because it actually fits in a space. It’s not a very big thing, but it is kind of disappointing to be stuck with when you’re playing the aliens. If you’re wondering why I gave the game a lower replay value than might seem warranted given the board’s modularity, it’s based off of what comes in the box and the support that Games Workshop provides, which is to say, pretty much none. The game is highly re-playable if you’re willing to put in the time tweaking your own scenarios until they’re balanced enough, or if you don’t mind weeding through what others players have done to get the good stuff, but what comes with the game will eventually run out if you play a lot and although replaying scenarios from both sides adds to everything, eventually you’ll just have played enough times through. There’s plenty of scenarios in the box, so it would take a whole lot of plays to hit that point. So that’s the game – it’s a beautiful woman who didn’t need a surgeon to get to that point, but she’s got a heck of a nasty mother. Mom, in this case, is the game’s price. If you can find a store that still has copies, MSRP is $100. And, as is most likely, if you’re not able to find that magical store the game will cost upwards of $300 on eBay. The price is why I feel bad about owning the game. I got it when it first came out and actually paid less than MSRP. Anybody who sees this game and wants it can’t have that because Games Workshop is a company run by soulless lawyers (least it feels that way because of how they treat their customers) and the game is not being made anymore. I hope you find that magical store with copies still going for only MSRP – it may be pricey, but the shear beauty of this game makes it worth it. Good luck, searchers. Traditionally, a gateway game is any board or card game that helps people get into the large world of hobby board games as opposed to the usual exposure and experience that most people get from the big box stores like Walmart and Target. In many ways, Carcassonne does fit the bill for this ideal because it’s an easy game for people used to games that hold all their rules in the box lid to get into. It’s fun, quick enough to grasp, and still has plenty of elements that allow players to try to outwit each other. Where I don’t quite agree with the gateway game moniker is that most gateway games fall largely by the wayside once you’ve gone more deeply down the rabbit hole and seen the wider world available in the Wonderland. But Carcassonne isn’t a game you should be leaving behind. The simplicity of the tile and worker placement may be quick to learn, but the strategy, expandability, and thinking you get to do with this game make it worthwhile no matter how far from the gate you stray. And just to give how clear things are for learning this game – laying the tiles is so easy to teach because it uses the same principles learned in dominoes, sides have to match. Worker placement’s a breeze too because it’s just first one on is the only one who gets to be put on that terrain feature and you have to plan carefully because you have a limited number to use. Scoring can be a little wonky at times, mostly because of the farms, but the rules are printed up in a very clear way and are easy to reference at end game for those new players. This game is fantastic. The ability to have a card game that allows for deck building without it being the huge money sink that blind purchase games are is a great thing. Fantasy Flight Games and others may have done it first, but Plaid Hat Games smashed it out of the park with this one. The game is easy enough to learn, though really understanding how to play well comes from learning what your cards and your opponent’s cards can do. Setup is very quick since each faction has an automatic starting setup on the play mat (or delux board depending on what you bought to get started in the game). Each faction will typically have a summoner, three champions, three walls, and a number of commons and events. Decks are small, so it’s highly likely that most, if not all cards will be seen in your hand at some time. On your turn you draw till you have five cards, play the events you’d like to, summon creatures, move creatures, attack, and then discard for magic. It’s a very easy turn progression to get the hang of and the movement phase always coming before the attack phase allows for better planning on your strategy and against your opponent’s. Where this game really shines is in the creature cards themselves. Each creature has its own distinct power. These powers work to either let the creature move farther, or hit more targets, or shoot farther, or any number of cool and interesting things. The art for the game is stylized and people seem to either love it or hate it, though whichever way you feel it is hard to deny that it was very well done. I’ve left out a lot of rules, but there are tons of resources that are better for learning the game than a review, I’m here to just let you know that this game is a blast to play, plays 2 or 4 players very well, and is very affordable. Everything’s so well balanced that it’s pretty easy to get whatever you like the look of most to start with, but you’ll probably find the game so well made and addictive to play that you end up getting quite a bit more. Apples to Apples is one of those games that somehow became divisive – most people seem to either like it or hate it. A little side game you can play is to mention the game just to see people’s reactions. After having played it myself a number of times I’d have to say they’re right, all of them. Apples to Apples is a great game for folks who don’t usually game (think: family gathering that includes your parents or grand parents). People who think the idea of trying to find any reason whatsoever to associate a word on a green card with any of the red cards the players tossed in. These groups tend to be more silly and freewheeling with those associations, so things like George Washington and Wrestling might get put together because the Cherry Tree Chop is a great wrestling move. But at the same time, Apples to Apples is usually a terrible game for people who do game (think: friendly gathering in the biggest open room of the house with a game that’s rules could never fit on the inside of the box lid). Folks who want to try and figure out the best strategy or want to see how much they can push their luck. These folks usually hate the rule where the last person to put in their red card from their hand doesn’t get to play that round. They also got a grudge against the dude who picked Wrestling because they had President of the United States in there to go with ol’ George. They’re gonna try hard not to pick that dude’s card next round, so it’s a good thing cards are played face down and then mixed up before the person playing the green card makes their choice. Overall I’m glad I own the game. I’m also glad I’ve got a bunch of other choices too. Apples to Apples is fun, but the trite bit about needing the right groups is 100% true. It’s laid back game design meant for a laid back group who wants to be a little silly. Funnily enough, the chance of being excluded for a hand because you didn’t put in a card fast enough is a great timer to keep things silly. People will make quick decisions and sometimes they’ll come up with great answers purely by accident – definitely a bonus for a party game atmosphere. First off, just gonna come right out and say that this review is not going to really cover the rules. If you’re checking out Zombie Fluxx, 19 times out of 20 you’ve already played regular Fluxx. My mother isn’t much of a game player. She’ll play party games at family events, and enjoys traditional card games, but she’s not ever the first person to say “I’ll play!” whenever I try and get my family to try something new at our regular get-togethers. However, one Halloween I was hanging out at her house, helping hand out candy since my apartment complex had had only one kid come by the previous year. I suggested we play this fun, little, random card game in between visits from kids who obviously wanted to see their dentists more often. She agreed because she’s a good sport, and we ended up playing over ten games in a row. This is the power of Fluxx in general, but the draw of Zombie Fluxx at the right time of year made it an easy sell. I don’t know that it’ll get her to start buying the occasional deeply steeped in board gaming hobby lore game, but it’s definitely a start. What makes Zombie Fluxx so solid a game to get people used to the idea of trying the new is that it’s a game that constantly changes. Folks who normally only ever play party games are going to be used to random since it’s almost always a core staple of those kinds of games. Add on top of that how the game’s theme puts you right up against a silly, yet fitting, take on the zombie genre and it’s easy to see why people want to keep playing. Zombie Fluxx introduced the Creeper Card to the Fluxx family and now it’s a common element in many other Fluxx variants as well as the latest version of the base game. Like any other version of Fluxx, getting others to play the game is going to depend largely on their attitude and the atmosphere of where you’re at. If you’re with a bunch of people intent on winning or being able to plan twenty moves ahead – move on. The game is meant to be chaotic and shines best when you’re with a group of people who are more interested in seeing what happens or in seeing how crazy they can make things than they are in winning. Fluxx is about the journey, not the destination. To be perfectly frank, Fluxx only has winning conditions so that games end. This is an exercise in being silly, and it’s FUN! Zombie Fluxx adds onto that through a great theme and is my favorite Fluxx variant to play. If you like Fluxx, you’re going to like Zombie Fluxx. Settlers of Catan has been around. Not just in the time sense (it’s over 15 years old as of this review), but also in the sense of how much visibility it has. Board gaming as a full on hobby really caught hold with this modern era that Settlers helped usher in. Now-a-days you can find this game practically anywhere – Walmart, Target, Toys R Us, and many bookstores. I think I’ve even seen it at a supermarket before. And that’s why it’s like Monopoly. Not only can you find it pretty much anywhere, but it’s pretty likely that more than one of your friends owns it and even more likely that they’ve played it in some form. The actual gameplay has much less in common with Monopoly though. Your board is a bunch of hexes that represent resources that can be collected from them and they’re laid out at random. You still build stuff to help your cause, but instead of houses and hotels, you’re building towns and cities, roads too. And instead of hoping the other players land on your properties, you’re hoping the number rolled on the dice matches the number on the hexes you have a city next to, since that means you get to collect the resource that hex provides. Setup’s pretty easy since it’s mostly random. The hexes that make up the board start face down, you mix them up, and then you start laying them out inside the bits that hold all the hexes together. Then you’ve got all these disks that have numbers on them and you do the same thing – face down, mix up, deal out. The next step is where each player takes turns putting down a town with two roads connected to it until all the players have two towns on the board. There’s a lot of strategy that can go into this part of the game. Once the game starts each player will roll two dice on their turn and any hex that has the same total as the dice gives resources to all players who have a town touching that hex. Then players use the resources they have to build more things. These can be additional roads or towns, upgrades to towns to make them cities (which doubles the amount of resources you get from a hex it touches), or cards. These cards either give you interesting things you can do to other players, give you knights which work towards one of the way you get victory points, or many other things. Victory points are how you win, and there are a number of things that give them to you – it’s better to learn the game through the rule book rather than a review. What makes this game fun are all the decisions you get to make coupled with another thing it has in common with Monopoly – the deal making. It’s quite common to have a resource you either don’t have access to, or that’s hard to get because the number for it isn’t as easy to roll on the dice (like 2 or 12). That’s when you can start making deals. You’ve got the brick I need, but I’ve got the ore you need – so we swap. But is it an even trade? Brick does a lot of useful things, but ore is needed for most of the really big stuff. Does that mean I deserve two brick for my one ore? How badly do I need that brick? Tons of factors go into what kind of deals you’ll make with the other players and it can get really fierce, which is a lot of fun. Then there’s the robber. This little guy gets put on the only hex that doesn’t get a number (the desert) and any player who rolls a 7 gets to move him to another hex. While the robber is on a hex, that hex can’t produce resources. He also steals things (what kind of a robber would he be if he didn’t), so there’s that bonus to him as well. He can be used strategically or purely as revenge on someone who got the best of you in a trade. He’s a great part of the game. I enjoy this game. There are plenty of other games I like more, but not so much that I don’t want to still play this game every once and a while. It’s a great game because although it is what is commonly referred to as a Euro-game, it doesn’t follow a lot of the things that people say Euro-games HAVE to be. Euros aren’t supposed to be random (dice, hex layout, & number layout are all random), minimize the amount of player interaction so that it’s how well you play the game and not how well you dealt with the other players that gets you the win (the robber, some of the cards, and deal making are all about messing with the other players), and theme is less important than good mechanics. It’s that last one where Settlers of Catan falls fairly much in line with its other European brothers. Though I must admit that way the designer incorporated the theme for the game works well for me. Sure the mechanics have nothing whatsoever to do with building up this imaginary island, but the way the theme is expressed hits you from enough angles that it doesn’t matter. Overall the game is definitely one you should check out, and most likely one you should buy. I won’t presume to believe that there’s no one out there this won’t be a fun game for, because that would be idiotic. Instead I’m just going to say that it’ll appeal to nearly anyone. It’s a really well done game and even with the existence of games I like much better – I’m not going to turn down a game. Don’t get me wrong, 4th edition D&D is absolutely got it in spades for combat rules in the rule books. In fact, the three primary books that opened the edition (the Players’ Handbook, the Dungeon Master’s Guide, and the Monster Manual) are almost 100% pure rules crunch. What many (far, FAR too many) fail to realize is that a solid conflict resolution system and a robust (or you might say bloated) character creation system has absolutely nothing to do with how much roleplaying you can get out of this system. As with any RPG, the amount of quality roleplaying you get out of it will largely depend on two things – you, and the person running the game. Your fellow roleplayers at the table can make things easier or more difficult, but they can’t remove what type of roleplaying experience you’ll get based on your and the DM’s efforts. The core system is actually great for roleplaying, and not just board gaming, because it’s clean enough that it gets out of your way yet still gives you good resolutions from the daring do that you’ll attempt. The reason many have said that this system is bad for roleplaying is mostly because it doesn’t force you to do it, and doesn’t teach you how. This isn’t a bad thing. Why would you want to be told “okay, now act like you’re struggling to stay above water”? It’s a roleplaying game, not an acting class. And being taught how to roleplay is just as bad because it doesn’t allow for individual styles, it only allows for the style being taught. 4th edition D&D did a great job of cleaning up the rules mess that 3.5 had become (especially from the DM’s side of things), don’t let the fact that it explains how to work with its combat system and not how to talk in an elven accent fool you into believing there’s any less roleplaying here than in any other game. Fluxx is a simple card game put out by Looney Labs where when you first start the game, there is no way to win. The title of the game absolutely captures what the spirit of the game is, and that’s to have things constantly changing. New Rule cards which change how many you draw, how many cards you can hold in your hand, and a myriad other things about how the game is played. Keeper cards which you lay down in front of you to help you win the game. Goal cards which you put down to show what will win the game. There can only be one goal in play at a time, so the old goal is discarded when a new goal is played. Action cards which allow you to do various things once. Creeper cards which play like Keeper cards, except that they prevent you from winning and you must play them when you draw them. You at least get to redraw to replace them and they don’t count against your cards per turn playing limit. There is one more card type that was introduced in a variant (Pirate Fluxx) that will eventually be part of the base set called a Reaction card. These let you do things on other players’ turns. The rules for Fluxx are very simple. When the game starts each player is dealt three cards and the first player to ask to go first does so. There’s a draw pile and an empty discard pile and since no player has played a goal card yet, there’s no way to win just yet. Play moves quickly as the only constant rules are Draw 1 and Play 1. Everything can be changed, but you will do a minimum of that on your turn. The game is won when a player has the conditions required on a goal card. These are usually a pair of Keeper cards, though other goals can include having a hand of 10 cards, or having a particular keeper with another keeper not in play anywhere. The game is absolutely fun and shines when you have a group of people who just want to play a fun game. Players who NEED to win will get quickly frustrated and players who suffer from analysis paralysis will bog the game down if there are a lot of New Rule cards in play or if they get to play a lot of cards from their hand. Definitely meant for a casual environment, games will take 15-30 minutes though occasionally they will run long if things get wonderfully silly, such as having the Draw 5, First Play Random, and Hand Limit 0 cards in play – Your neighbor will draw a card from the five you just picked up, that’s the card you play, and then you discard the rest, very funny when it happens. The Stronghold development makes a great way to deter others from trying to force their way into the areas of the board you’re building up in with any figure moving onto the tile needing a 5 or 6 to not be destroyed. Because of this added protection, it can be tempting to put one on your entrance space since it makes it a lot harder for another gang to take that spot over blocking you from bringing more than two gang members onto the board at a time. The word of caution is that if the rival gang is able to capture the development, you now have to roll to bring anything onto the board and then hope you can win the fight, making it that much harder to get back into the game. It’s especially risky in a 3 player game since the entrance spots from one gang to the next are closer together. Red could potential attack by their second action. When you first open the box there are a ton of little wooden cubes that need stickers put on them; roughly 800 stickers total. Either have some help when you’re first putting the game together, or apply the stickers in shifts. It also pays to pull as many stickers as possible from the same sheet so that you can throw out the fully used sheets and save the others as “just in case” bits at the bottom of the box. Little kids are going to want to play this game. It’s a giant box of toys with rules, so it’s pretty easy to see why. What they’re not going to be able to do a lot of the time is to handle all those rules. Since even the basic game can be hard to grasp for a 3-5 year old, it’s best to just play by whatever they can understand and forget the rest of the rules until they’re ready to add them. A good practice to get into is to let them pick what figures they like without worrying about how many points it adds up to. Take the same number of figures for yourself, but make sure it’s significantly less points. This way you can play to win, still lose, and not feel like you gave the victory away. The child seeing you using strategy will likely try to mimic you, so it’s a good idea to explain what you were trying to do. They’ll learn the game a little more with each play, won’t get discouraged by being overwhelmed with rules or beaten down by constantly losing, and you’ll get to share some fun time with them without having to play to lose. This is something that’s been discussed and I just really like the concept. The way it works is pretty simple. The first few rounds of the tournament are spent playing the army you brought with the latter half spent playing against that army. It’s best to keep things as even as possible with the first half getting any odd-numbered rounds. What this kind of tournament does is shows which people know the game better since it’s not as simple as just bringing the best made army. In a five round tournament they’d play their well made army against everyone, but then for those last two rounds they’d be using their opponent’s army and vice-versa. They not only need to know what to do to take their own army out, but they have to be ready for any kind of army that they could get. Haven’t seen it played out yet, but like I said, it’s a really interesting idea. This is a fun variant that myself and a few friends talked about which can be a lot of fun. Everyone playing brings 1000 points worth of figures to draft from. At every matchup the two people playing show what they brought and both draft their 500 point armies from the 2000 points available. The reason it’s a reverse draft is that you’re actually drafting the army you’ll be playing against, so it pays to bring some pretty terrible units. Those terrible units can be dumped on you, so it’s a good idea to make them terrible, but versatile. There’s just so much fun that can come from first building a junky set of 1000 points, then to try and give your opponent the worst army possible, and then to see if you can make the atrocity you’ve been given work to your advantage. I can’t think of a way to state this that doesn’t sound like a brag, except to say that I’m really not bragging, I’m just putting it here so that folks know this army is well tested and highly effective. This is the army I used to win the Gencon Marvelscape tournament a few years ago. The Gencon tournaments are generally considered the top tier tournaments for Heroscape because they draw from everywhere and have the largest turnout. As I explained in the Thanos strategy tip I posted, use Thanos almost exclusively while he is alive. Everything else in the army is there for its survivability. I do like to use the robo-rats (Deathreavers) to capture a glyph if I can do so within the first or second round. I wouldn’t use them more than one order marker per in those first two rounds. Thanos is there to destroy anything your opponent doesn’t want destroyed at the beginning. Deathreavers are there to give Thanos lots of chances to be Rejected by Death and to capture glyphs. Isamu is there to help fill out the point total and to provide a way for attacking things while Thanos is dead. Marcu is there almost exclusively just to fill out the point total, though his attack, Flying, and Life Drain make him a good fit for the late game if that’s when Thanos is dead. The big key with this army is knowing when to spread out and when to cluster and hide. Largely that’s decided by what you’re fighting against. Any army with a way of attacking clusters means you need to spread out, especially if they have the Airborne Elite – those guys can be devastating to any army that clusters together. You’ll also want to spread things out if you’re up against an army with a lot of special ranged attacks as those won’t allow your rats to use their Scatter ability. This army’s biggest weakness is against armies with no heroes. No heroes and high mobility armies are even worse. Against these types of armies you want to use Thanos to thin out the ranks as quickly as possible while playing a “come and get me” type of game. Don’t just sit him in one spot as that allows your opponent to move stuff towards the rest of your army instead of just towards Thanos. There’s not a lot of change to what you do in early, middle, or late game if Thanos is on the board. If he’s not, early game you should be focusing on making it hard for the other player to kill off your rats. Don’t bring Marcu or Isamu into it as they’re much easier for you to lose order markers on. Mid-game is when it’s okay to put order markers on those other heroes, however I’d suggest only using the first order marker once they’re within a turn’s worth of order markers of being attacked. Use Isamu since he’s got a better survivability than Marcu even though he hits for slightly less. Late game is typically when Marcu would come into play as Isamu is usually dead by that point, unless you’re doing very well. If Isamu’s still alive – keep up the mid-game strategy. For Marcu, you want to focus on attacking things off by themselves. Not only does this help Marcu from being killed off too quickly, but it keeps his Eternal Hatred from hurting you too badly when it goes off. Your rats, no matter what stage of the game you’re in, should almost always be avoiding confrontation. The exceptions are when there’s a glyph your opponent has that would be best if they didn’t, or if you’re down to just rats versus not much. The reason you’d want to attack at that point is to keep things locked in place for when Thanos comes back. And Thanos will come back. However, he can be tricky to use to his full potential because you have to do certain things that you would never do with a key hero. 1st. Pursue the other player’s most important figure with absolutely reckless abandon. Don’t worry about being attacked. 2nd. Don’t worry in the slightest about taking leaving engagement swipes no matter how much life Thanos has. 3rd. The only enemies you need to run from are those that can take over Thanos permanently, like the Shades of Bleakewood. 4th. There is no reason to put order markers on anything else unless Thanos is at one or two life, and then only if he can actually be attacked. These guidelines can make Thanos absolutely cruel to play against because he quickly thrashes most army’s lynch pin figures. He should usually be paired up with things that have a great survivability, such as the rats. Whenever Thanos is dead, the rest of your army should turn coward. Let them run away since you get a Thanos Rejected by Death roll with every order marker. The most I’ve ever gotten him back was twice, which is just brutally unfair from the other player’s perspective, but that’s why he costs so much. Have fun crushing your enemies. Carcassonne is a great game. It seems silly to expect any gamer who likes it to only ever get the base game. This is where the Carcassonne Big Box (I, II, or III depending what’s in stock at the place you shop) is a great deal. It’s the base game, a bunch of expansions, and a single box to store everything in. Definitely a great purchase – just give the base game you already bought to a friend – build the hobby while you upgrade your collection! Eventually, you might find there’s other expansions that came out that you’d like to get. The Big Box is great for them too, because you can just throw the small expansions in without the slightest problem and the box itself could hold three big expansions still in their original boxes if you don’t mind the lid of the Big Box sitting high. And if you’re really resourceful, you can download some of the fan designed tile boxes off of BoardGameGeek, throw out the Big Box’s insert, and store everything they’ve ever made for Carcassonne inside the Big Box, no problem. For anybody interested in the game, there’s just too much good to be had from buying this. A friend of mine came up with this, but it’s a great help, so I’m sharing. The card wells in the Master Set box curve in at the bottom, and it’s enough that if you’ve sleeved your cards the corners of the sleeves get bent a bit. My buddy’s solution was to cut the corners of the card wells out – just the bits that were pulling in at the corners where two sides and the bottom meet. Only removing that corner bit leaves the wells plenty strong enough and keeps your sleeves from getting all bent out of shape. I know that among a lot of players, the Mayday sleeves (Chimera Premium seem to be the most recommend of them) are pretty consistently recommended even with the occasionally wrong sized sleeve. I’d recommend folks go elsewhere for their sleeves. Not because there are obvious, better choices – there aren’t – but because Mayday as a company is not trustworthy. They’ve done things like reselling as new returned and defective products, creating multiple accounts on sites so that their main account has “supporting voices” and they’ve absolutely, 100% ignored customer requests for restitution of refunds until things were made public. Their sleeves appear to be their most consistent, good offering and I still can’t bring myself to use them because they’ve burned too many of my friends with their snake oil salesman techniques. Since the number of highlights dealt per week (round) of play is the same as the number of players, there’s always enough room for people to be in a minimum of two games, though the temptation to do more than this can be very hard to resist. You must resist these urges! The game has absolutely nothing to do with win/loss record, but winning tends to help you out faster than losing does. There are the odd exceptions though, and in my playing of the game there were two that became clear – the first is the fairly easy to spot “unbelievably good hand”. This is things like having devastating star players and all your best core players all at the same time. If you’ve got enough beef and a few nifty effects to help cover some situations, a well played hand with a ton of power can win multiple games and do it well. The other is much harder to time, though just as easy to press your advantage with – the end game. If two players are intent on capturing that blood bowl title because of the high number of fans it brings, they are likely to just ignore the normal highlights in favor of ensuring the big point win. Don’t get me wrong, winning the blood bowl’s seven fans is a pretty tough obstacle to overcome, but heading into the final week in the game we played tonight I’m not sure the third place guy had even broken the double digits in number of fans, yet the game ended 47 to 44 to 42. I was the 44, Mr. Win-All-The-Highlights-For-The-Week was the 42, the guy who won the blood bowl finished first. He’d nearly turned a game of being constantly dominated into a photo finish at the end because of his good card play in the final round while us front-runners were preoccupied. Keep these kinds of things in mind when playing so that opportunities to take advantage of the other players through your good fortune or their preoccupation become as devastating as possible. This game has a number of units that are pump-able when they have cards added underneath them. This can turn your lowly little commons into hero killers. It’s a lot of fun to do too. The downside is that usually these units aren’t the best at sticking around. They get killed pretty quick, especially the more powerful they get. This can be bad because all those cards you used to make the little guy big go with him to your opponent’s magic pile when he’s killed. Rather than give your opponent the kind of magic that might let him summon a champion from one kill, kill off the little guy yourself so that you can reinvest that magic towards your own needs. It just doesn’t pay to push your luck the other way. Want a real challenge? Try to make the Un-goal happen while working to keep anyone from winning before it does. This is a fun way to keep the silliness of the game going while at the same time trying to “win”. This game has some of the most beautiful game components ever made for board games. It would be a crime to take the highly detailed miniatures for this game and use them as your first foray into painting tiny things. Instead, buy another game that looks good to you (or just cheap miniatures by themselves) and practice on those until you feel comfortable and confident enough to give the prettiest little pieces on the table the effort and skill they deserve. This game is wonderful, probably my favorite story game, but there are a ton of little bits that you’re going to need throughout the game. Buy a tray with a lot of little segments to it so that you can keep everything sorted and easy to get at. The friend who first showed me the game used a tray made for holding deviled eggs and what I’ll be using it one of those trays that provide a bunch of small paint reservoirs that miniatures painters use. It really is a very useful thing to have. The number of fun and interesting expansions for this game can seem like a kid in a candy store for someone who’s just discovered how good this game can be. But like that candy, you take too many pieces all at once and you’re just going to make yourself sick. Learn expansions one at a time so that the amount of time they slow down the game is minimal. This is especially important if you’re like me and bought one of the Big Box versions after playing a friend’s copy. It would have been a miserable game if I’d tried everything all at once, but instead learning became another thing I liked about the game. We’d bust out the Big Box (number II for those of you keeping score at home) and each time we’d try out a new expansion. This made it much easier to learn the expansions and because we only added the expansion we were trying to learn, we could focus on it that much more to see how it affected the game. So take your time, savor the flavor, and keep it one at a time for the new stuff. The dragon is a very fun addition to such a tame game, but sometimes it’s worth it to guide the dragon towards your own meeples. If you’ve got meeples stuck where they either won’t score any points or where they aren’t going to get used quick enough to be worthwhile, angle that dragon right towards your lazy workers and put them back out in better spots. Just remember that this is a very european style game – they don’t really die, they just runaway back to the main office so they can be transfered to a less dangerous neighborhood. It may not win you popularity points with your friends, but taking over a central or key resource tile with your starting setup two city placement can be a great way to screw with your opponent. Not only will having cities on opposite corners of one hex set you up for potential double resources right from the start, but it also creates something that your opponent has to work harder just to get around. Catan may not have a lot of conflict, but grabbing the right hex during setup can be like getting Boardwalk and Park Place. Go ahead and twist that knife. This game is pretty tame fair, especially for those who’ve sampled the wider world that board gaming has to offer, but it is a great game to use house rules on. There’s tons of choices that other people have already come up with and every group can figure out which rule changes they like so that even though the game as is can be kind of bland, with the right house rules selected for the group you’re playing with, this game becomes a very fun diversion. Live a little and change it up. This expansion adds a lot of new wrinkles to Carcassonne and really lets good players rack up some serious points, but if it’s your first time playing this expansion, only include this expansion. Because there’s so much more nuance to Traders & Builders than the base game alone, having other expansions in the mix is only going to frustrate the players learning this one for the first time while the experienced players get a boring, runaway victory. Stick to just the base game and this when you’re trying to learn how it changes the game and you’ll be much better off in the long run. This game can be one of the largest money sinks on the planet when a player gets really hooked on getting a complete set or even on something as simple as the rush of “what did I get?” when they open a new pack. If you’re looking to play casually, pre-made decks are the much better intro and can be modified with a few simple purchases whereas buying straight random cards will give you more options, but always feel like you need a few more to really get the combos you want. If you want to play in tournaments, draft tourneys are the much more economical yet still fun way to play. Since everyone is buying their stuff at the tournament itself, everyone is on equal footing. Card research, so you know what to do with what you get, can be done without buying a single pack. M:tG is a really well made game, but it can be as addictive and costly as gambling. Stay wary. With the release of the D&D Monster Vault, you’re better off giving this a pass and buying that instead. The amount of errata for this is pretty large. Holy crap, they added more games. Thought the site was starting to give up. Also, the site won’t let me convert gems to gold any more. Is that going to be fixed? That’s a whole lot of USAopoly stuff. Do they make any original games? I’ve always thought their whole business model was licensing brands to put on already existing Hasbro games (usually Monopoly). Don’t have anything against them, just curious. Lords of Vegas has been on my radar since seeing it on TableTop – looked like a good fun time. Chaostle? That’s one of the very few games I bought purely because I liked the bits. I hear the game is terrible, but I love the look of those minis and set pieces. Man, I’d be terrified if I went in on Click Clack Lumberjack. Mayday games has done *way* too many questionable things for me to trust they’d run a Kickstarter fulfillment in anything even close to an orderly and well managed fashion. I’d also half expect to be ripped off even though I know they’ve produced the game before. Maybe work backwards? Figure out how many of each piece you’re trying to replace there are and then try and remember how many you didn’t use rather than how many you did. The unused portion has got to be smaller, and easier to figure out. Figure out which games you’d use them with, how many of what you’d need to do that, and then add some small amount more (in case of loss, damage, or a new game). Buying them just to have them is an easy way to spend way too much or buy too few. Best to have a plan from the get go. I’m out of work right now, so money’s super tight and I’m still thinking about backing Soulfall. Love Small Box Games. What’s the point of having featured publishers if the games featured aren’t explorable because no one has reviewed them? Is it to entice folks to fix that? Because if that’s the goal, it seems like you’d get better results front loading the reward rather than just giving the possible benefit being first to act gives right now. Maybe offer a single gem to anybody who writes up the first review for a game. Sure, folks might try to game the system to get that, but you fix that by just having all initial reviews needing admin approval. Nothing new for me, but these are still my favorite articles to see pop up. Watching this place grow over the years has been fun. Here’s to hoping it not only continues, but increases in speed and size. I don’t like to assume people know about everything. If it’s something you already know, it doesn’t hurt you to hear it again, and it might be helpful to someone who didn’t know. And if you didn’t know it, who cares? Ignorance isn’t a bad thing unless the person with it isn’t willing to get rid of it when given chances. We all have stuff we don’t know, I’d rather somebody tell me something I already knew than have them not tell me something I didn’t know just to spare *potentially* hurting my feelings. My pride can heal a whole lot quicker than my ignorance – especially because I have a much easier time knowing when one is happening over the other. My comment was because the user submitted pics on the front page idea and the weekly poll on the front page idea are both things they do over at BGG. If you want those things, go to BGG. I’m not saying that in a rude way, I mean it earnestly. BGG is a great board gaming site – it’s got an absolutely massive database of games and will throw an unfathomable amount of stuff at you on pretty much every page. I go there for info. I come here because it’s a much more inviting, laid back experience that has actual thought put into layout and design. BGG absolutely stomps this place into a mudhole if we’re talking available information, but this place is a worlds more enjoyable site to meander through as you check out what folks are playing and see what interests you. 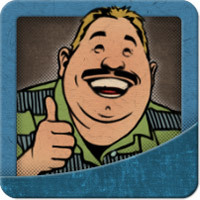 BGG is the giant mega-store with the high pressure salesmen. BG.com is the smaller, relaxed store that lets you do everything at your own pace. One has the better selection, the other has the better vibe. So, you’re saying you want this site to be BGG? 1. Double check the rules. So many people run into problems, finding a game too hard or too easy because they misread or misunderstood a rule or two. It’s worth your while to double check that you’re playing the game correctly and not giving the monsters an advantage by mistake. 2. Check out the PlaidHatGames & BoardGameGeek forums to see what folks are offering up in terms of playing tips, strategies, and helps. BGG’s file section for Mice & Mystics has some helpful resources. 3. Watch some other group play the game. This is super easy because of the number of people who have posted videos of this kind of thing on YouTube and the like. It can be really helpful to not only hear how other people think their way through things, but also removes you from the play so that you can wrap your head around everything more easily. 4. Check http://www.orderofgamers.com/games/ for game aids. That’s Universal Head’s stash of absolutely brilliant rules cheat sheets and additional game resources. The guy’s a graphic designer and layout artist who did pretty much all the visual stuff for Tales of the Arabian Nights. He likes making rules summaries for board games and because of his graphic design chops, they’re not just well thought out, but look good too. If all else fails, you can always sleeve the cards to help cover for their problems. I’ve done that with games with cheap components or that get played heavily. And, unless you want something pretty/fancy, it’s a fairly inexpensive fix too. Since joining the site no longer seems to need an invitation – is there any other way to build up reporter level that’s fun? Also, it might be time to take down the Invitation Point Leaders from the leader board since it hasn’t changed in over four years – and the person on top of that list doesn’t appear to have been back to the site since then. I figured that was likely – your tips and everything else I’ve seen from you has always struck me as earnest – it was just a disagreement on where your info should have been put. I’ve always seen the rules option as being changes we players make to the game – what you’ve posted is additional rules offered by the game makers, so it’s more of a tip. Again, that’s just by my personal view of how it works. Just a small aside – the only reason I voted “no” on HaiKulture’s game tip is because it’s listed as a rule and there’s no rule in the tip at all. It’s useful, and helpful, and definitely something worth sharing, but it’s not a rule. Is the designer really named “Good Enough”? I really hope this is a decent game. I’d love for there to be a worthwhile hockey board or card game out there. I got into gaming because of Heroscape and it's still one of my favorite games. I'll try out pretty much anything, though I tend towards thematic games where your choices matter, but there's still a bit of luck.